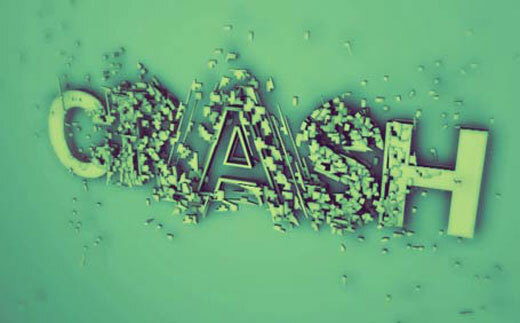 Learn how to shatter type in this exciting Cinema 4D tutorial. 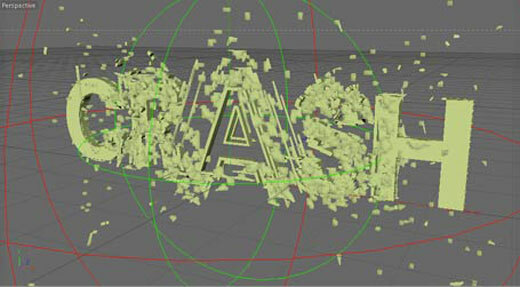 Step 1; In Cinema 4d create a new Text object and type in the word you want to use. 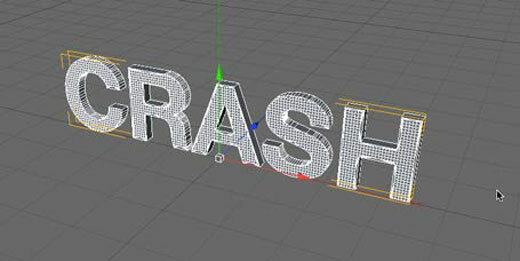 Step 2; Next create an Extrude NURBS object and drag your text object into it. Then go to the Caps tab a change Type to Quadrangles. Check the Regular Grid box and change the width to 3m or 5m. 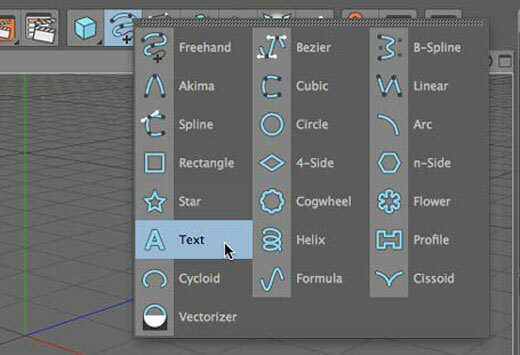 We want to add as many subdivisions as possible to our text object. 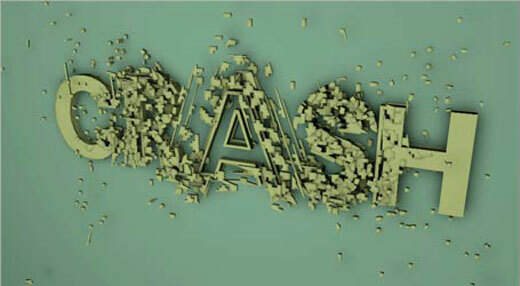 This way when we add the explosion effect it will create more detail and a better image. 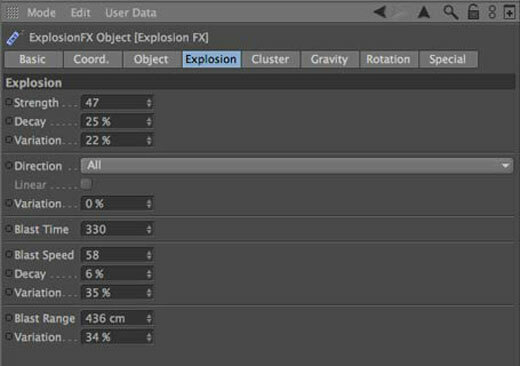 Step 3; Create an Explosion FX and group it with Extrude Nurbs object by selecting both and right clicking on them and selecting Group Objects. 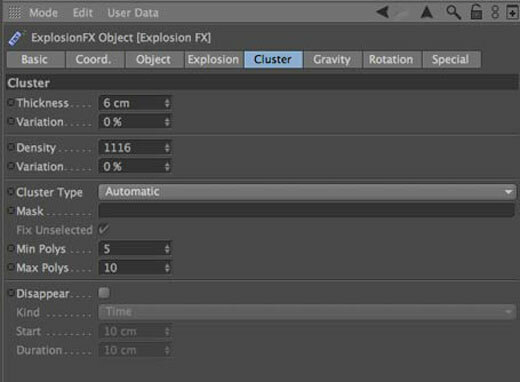 There are a lot of options in the Explosion FX object. I’ll share the settings I used for my piece, but feel free to adjust the settings to your liking. 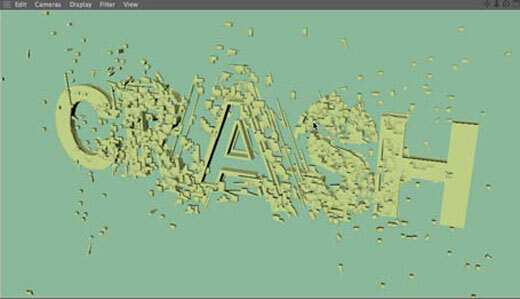 Step 4; Alright now create a Plane object and put it behind the text. 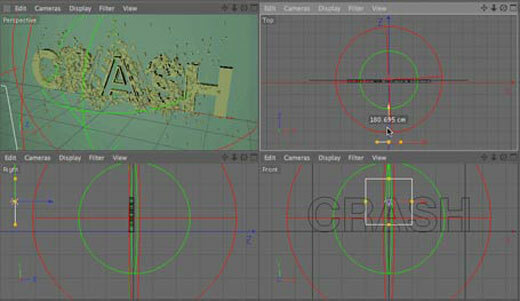 Then create and apply new textures to the plane and text objects. Next we need to light the scene. I created two area lights and turned on Soft Shadows, then I put one in the upper left hand corner and one in the lower right hand corner. Final scene with Ambient Occlusion turned on. Step 5; Now render your scene out and bring it into Photoshop. 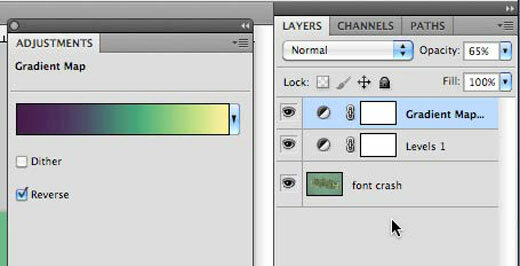 Create a new Levels Adjustments Layer by clicking on the icon in the bottom of the Layers menu. Bring up some of contrast by dragging the left and right sliders inwards. Step 6; Now add a Gradient Map Adjustment Layer and click on the gradient to adjust the colors. Below is an image of the gradient I used for my Photoshop project, feel free to experiment with your own colors or go to Adobe Kuler and find a color scheme you like best. 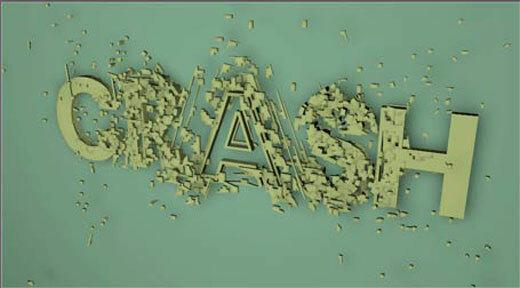 Step 7; Next duplicate the layer with Font Crash image and add a Gaussian Blur to it. 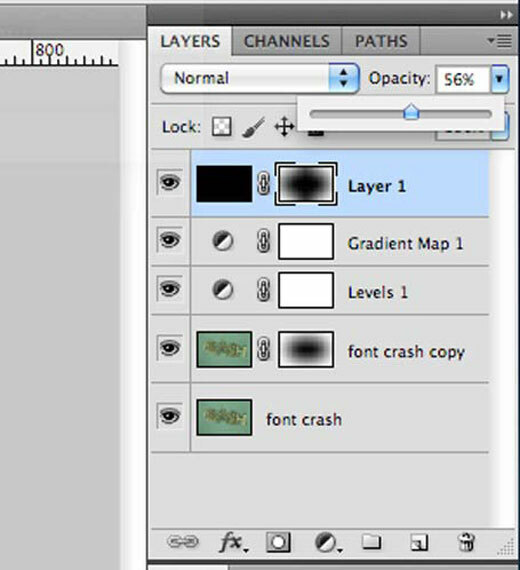 By keeping both of the layers below the two Adjustment Layersthey’ll both take on the attributes your set above. Step 8; Now draw a circular selection across the blurred image. 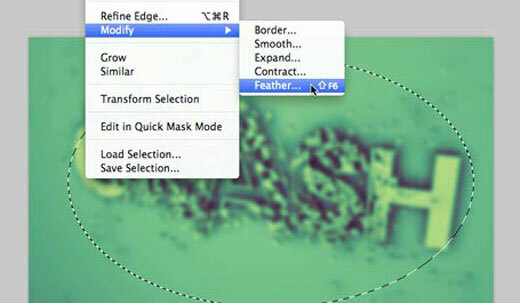 Step 9; Then go to the Selection menu and select Modify / Feather… and put in a value of 75 or higher. Hit the mask icon at the bottom of the Layers menu to mask out the blurred image revealing the nice crisp sharp image below. 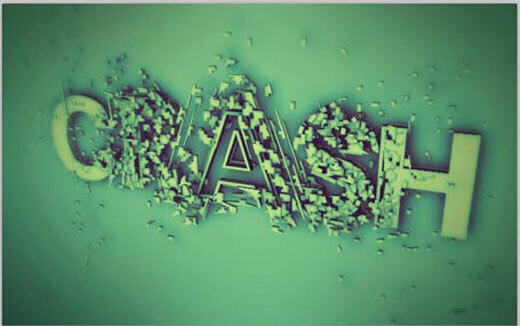 Step 9; Your image should look like it’s blurred in the center and sharp on the outside, we need to invert that effect. So select the mask and hit Command +i, to invert your mask. Now the image get’s blurry on the edges and nice and sharp in the center. Step 10; Now let’s create a vignette for our image by creating a new layer and filling it in a solid black color. Next create another circular selection then feathering the selection, and masking off the solid filled layer. Once again the effect is contained within the center of the image. 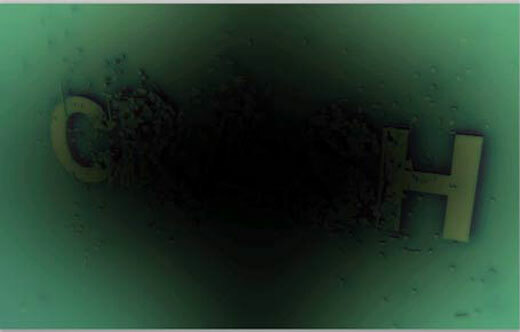 So invert your mask again and you should get the image below. 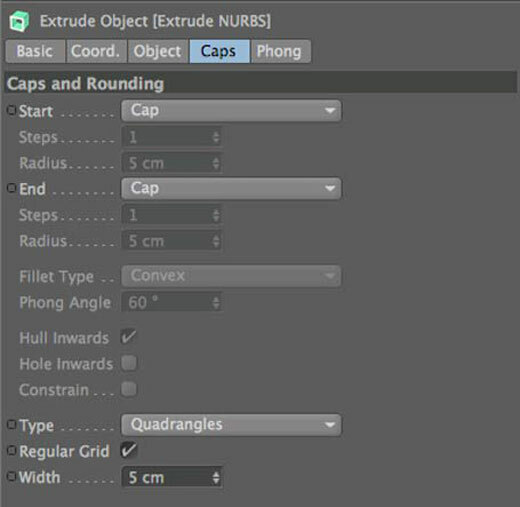 And here’s a final look at what your Photoshop file should be. And that’s it, hit play and you’ll see the arrow head animated along the path with a dotted line following behind.